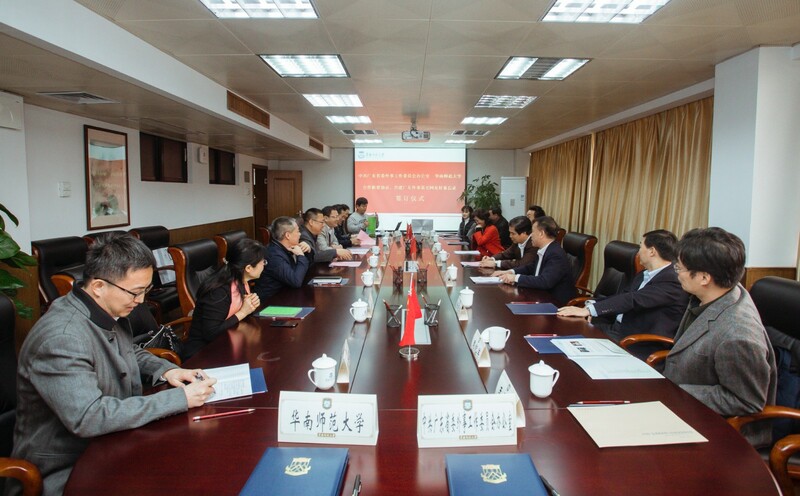 On January 15, director general Chen Qiuyan and deputy director Luo Juno of the Foreign Affairs Office of Guangdong Province, led the heads of relevant departments to visit South China Normal University. 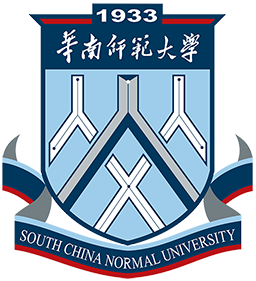 During the meeting, director Chen Qiuyan and Zhu Kongjun, secretary of the Party Committee of SCNU signed the "Cooperation Framework Agreement between the Foreign Affairs Office of the Guangdong Province and South China Normal University" and the "Memorandum of Establishing Friendly Cooperation with regards to English Websites between the Foreign Affairs Office of the Guangdong Province and South China Normal University" . 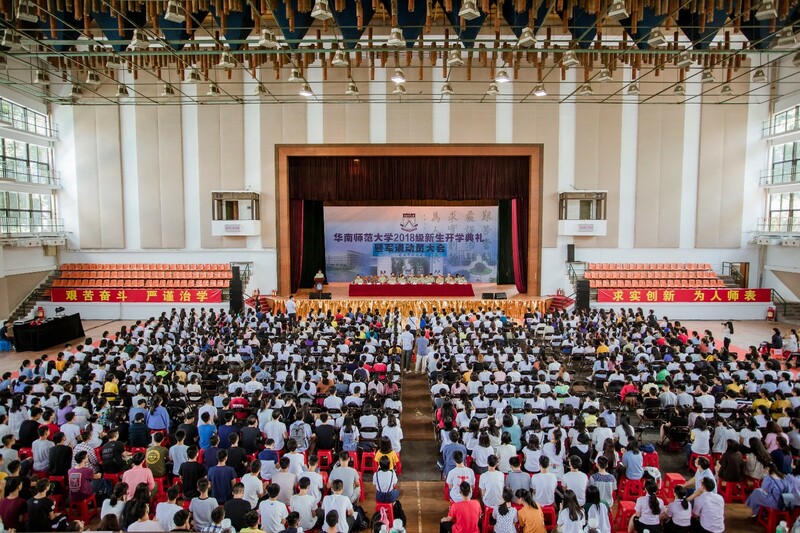 The two signings will further strengthen the exchange and cooperation between the two parties in education and scientific research, promote the organic integration of government resources and university resources and accelerate the in-depth development of Guangdong's foreign exchange. 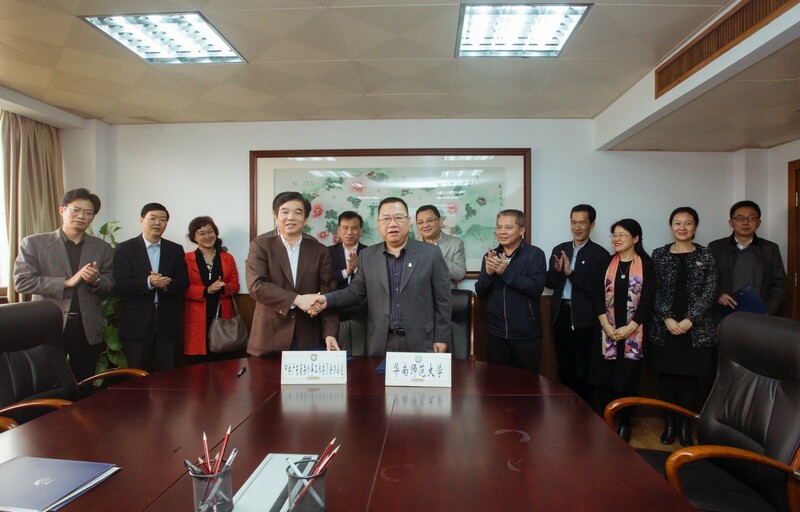 President Wang Enke presided over the signing ceremony. Also attending the ceremony were vice-president Wu Jian and the heads of relevant departments. 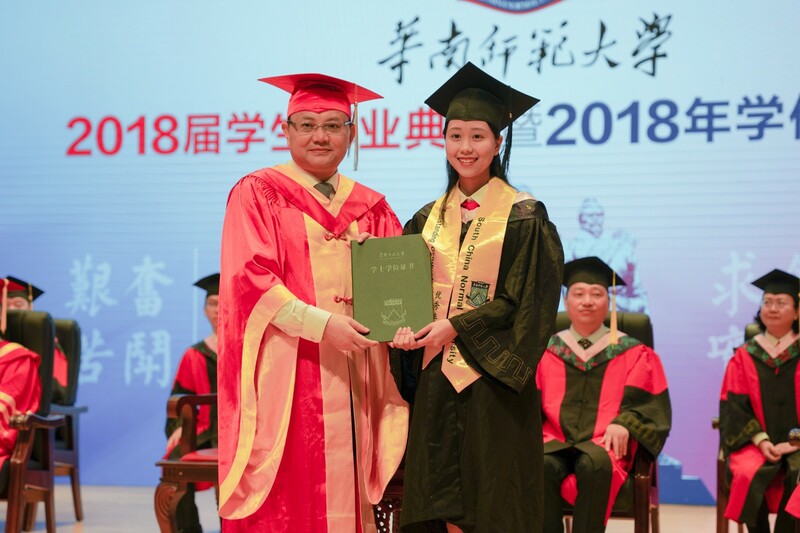 Chen Qiuyan said that with rapid development and increasing influence in recent years, SCNU has been undoubtedly a "double first-class" university. 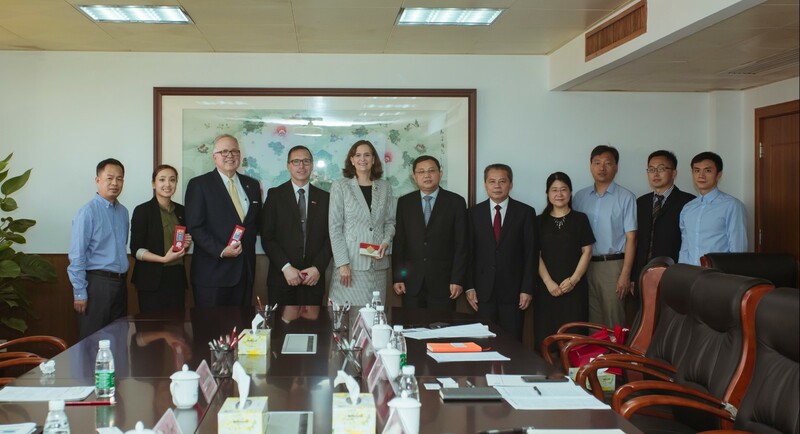 The Provincial Foreign Affairs Office will fully support the development of its international exchange and look forward to working with SCNU to make greater contributions to the reform and opening up of Guangdong Province. Zhu Kongjun introduced the development of SCNU over the recent years. 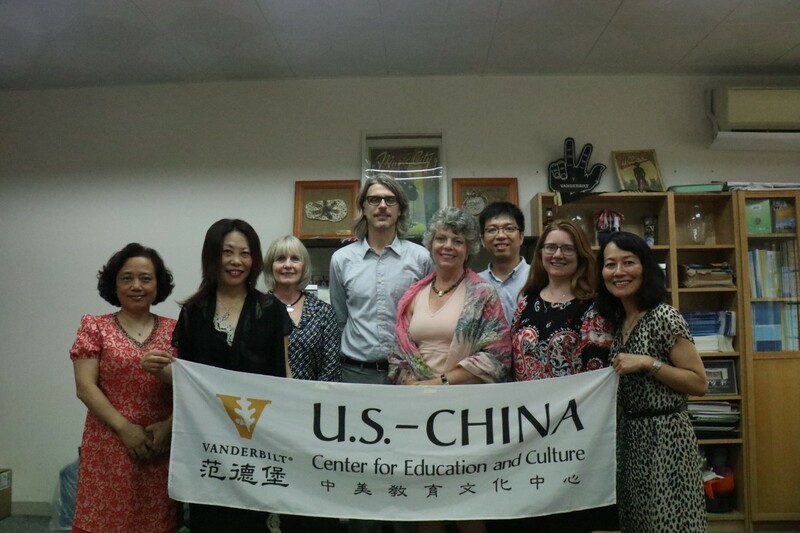 On behalf of the school, he also expressed gratitude to the Foreign Affairs Office of the Guangdong Province for its strong support for the international development of SCNU. He said that SCNU will continue to unswervingly view international development as an important goal. 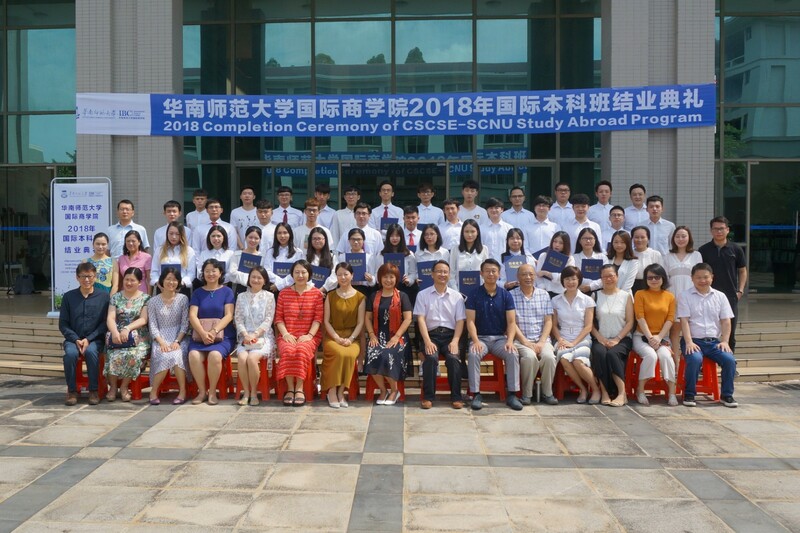 Under the guidance and support of the provincial foreign affairs office, it will continue to vigorously promote international cooperation in running schools, the recruitment of foreign talents, enrollment of foreign students and internationalization of teaching and scientific research. In 2018, the Foreign Affairs Office and SCNU jointly organized the annual Southeast Asia International Forum. SCNU has also undertook the important task of developing the English website of the Foreign Affairs Office. 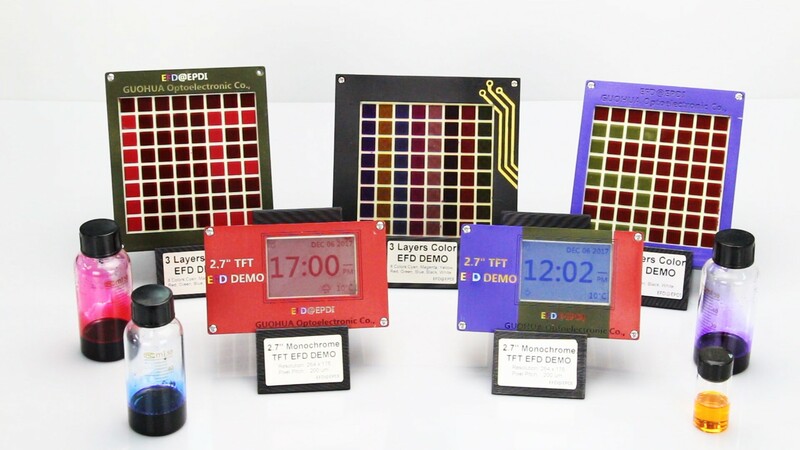 In the future, the two sides will also explore more cooperation projects to promote the development of education and scientific research.